Secluded D-log cabin down in the dell. 3 bed/1.5 bath mountain home includes master bedroom with half bath in loft. 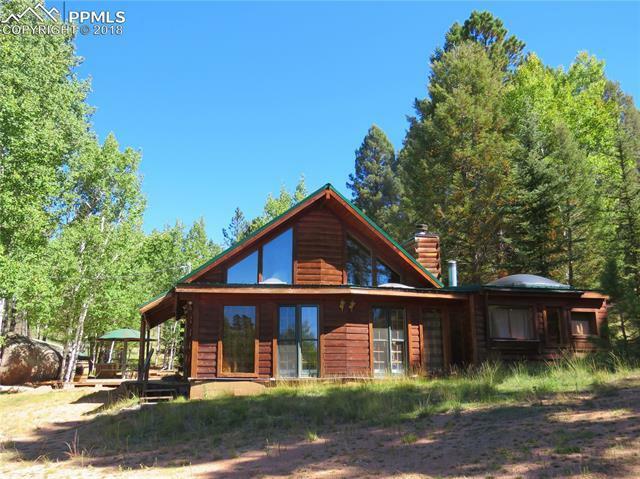 Two story great room with rock fireplace opens into large kitchen and an addition replete with windows and skylights. Tiled sunroom has wood stove, giant skylight and stained glass window panel. Enjoy the aspens and pines on the deck with its repurposed satellite dish umbrella and BBQ grill carved into a giant boulder.